When you stay in Bangkok location is everything. If you get it wrong you could be stuck somewhere with little English, limited food options, and no services. It’s happened to us before, and we were miserable! But then we discovered Soi Rambuttri. This tiny street is a welcome retreat from the chaos of downtown Bangkok. Found in the old city of Banglamphu Bangkok, Soi Rambuttri is just a five-minute walk from backpacker mecca Khao San Road. Some people describe Rambuttri as being like Khao San Road twenty years ago. But Khao San was never this charming! It’s quieter, less tacky and a whole lot more inviting. Seriously, you can’t help but love Soi Rambuttri with its beautiful trees and paved road that only sees the occasional car or motorbike. It’s such a pleasure to walk around and there’s plenty to see. The road forms a “U” shape around Wat Chana Songkhram and every now and then you catch a glimpse of its golden temple roof. It’s not unusual to spot orange-robed monks walking around the area either. At the end of the soi is a narrow lane with a shortcut to Khao San Road – be sure to check out the Thai kickboxing ring on your way through. Rambuttri Road Bangkok is divided into two different sections. The first section is called Thanon Rambuttri. 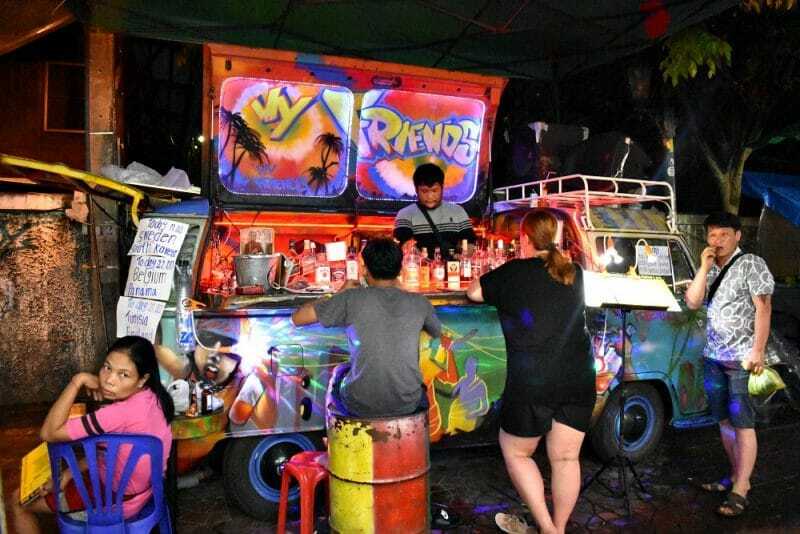 It runs parallel to Khao San Road and has little alleyways that connect the two. 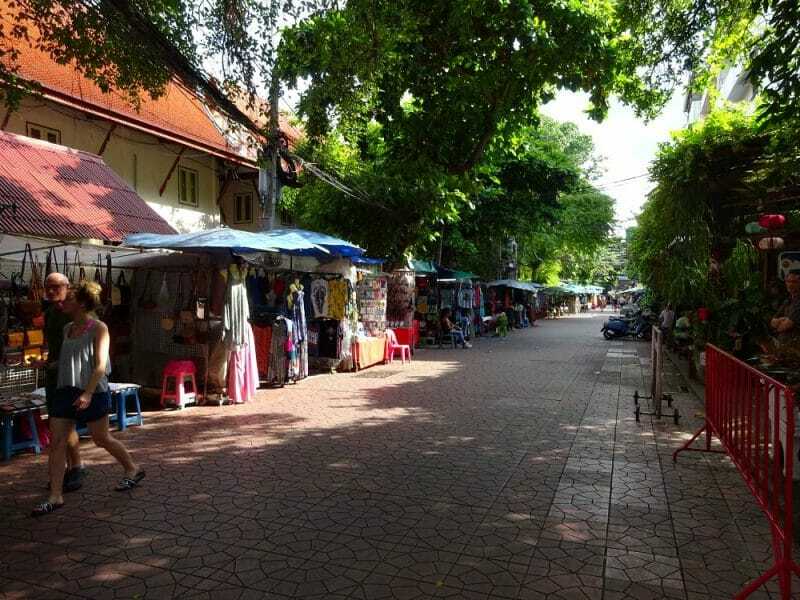 The second is Soi Rambuttri, a smaller street directly across from Thanon Rambuttri. You’ll know you’re on it because it’s fully paved. Thanon which means road and refers to major roadways or avenues. And Soi which is defined as a lane, or alley or small street. Click here for the latest prices and more information on the best place to stay in Bangkok. We visited Bangkok three times on our 13-month trip abroad and stayed in this area each time. Here are seven reasons why we always stay in a Rambuttri hotel in Bangkok. 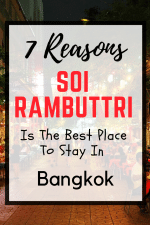 Soi Rambuttri Bangkok is tucked away in the old district of Banglamphu. It’s a traditional neighbourhood filled with old shophouses, golden temples and buzzing markets. The whole area is covered in a maze of tiny alleyways that are fun to wander around and get lost in. 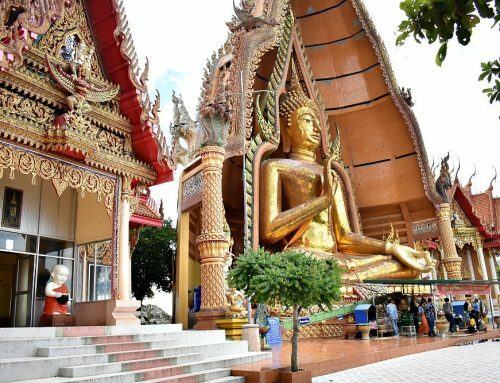 Some of the best Bangkok tourist attractions are found in the Banglamphu area. And they’re easy to get to from Soi Rambuttri by water taxi or tuk-tuk, or our favourite, on foot. 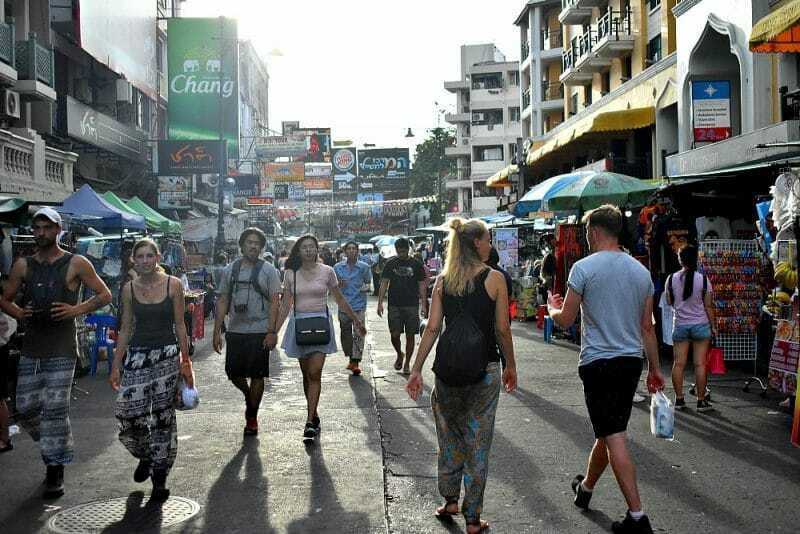 We love that in just a few minutes walk, you can reach some of the most famous places in Bangkok. You can even walk to the Grand Palace! It’s also just a short walk from Rambuttri Road to the Chaophraya river and its riverside restaurants. And the Khao San Road nightlife is just a hop, skip and a jump away. Here’s a map to help you get a better feel for the area. It could take weeks to see all the places of interest in Bangkok. There’s just so darn many. But a stay in a comfortable Rambuttri village hotel makes it easy and enjoyable to visit them. Here are just a few of the Bangkok attractions in the area. The dazzling Royal Grand Palace is easily Bangkok’s most famous landmark. And no trip to the city would be complete without a visit to this Bangkok must see. The huge complex was once home to the King, his court, and the royal government. Now it entrances visitors with its stunning architecture, detailed trimming and intricate carvings. Considered to be the spiritual heart of the Thai people, it proudly displays some of the most beautiful temples in Bangkok. The most impressive of which is Wat Phra Keow, a highlight of any trip to the Bangkok Royal Palace. Inside it, you’ll find the incredible Emerald Buddha. Despite its name, this highly revered Buddha image isn’t made from the precious jewel. Wat Arun or the Temple of Dawn stands majestically on the banks of the Chao Phraya River. And it’s from the water that most people catch their first jaw-dropping glimpse of the Wat Arun Temple. But the intricate patterns made by tiny pieces of porcelain aren’t visible from the river. It’s not until you get up close that the details become apparent. And it’s only then that you can see how amazing Wat Arun Bangkok is. Just across the river from Wat Arun is Wat Pho or the Temple of the Reclining Buddha. You’ll find it right next to the Bangkok Palace. This wonderful temple complex has over a thousand Buddha images. But, as its name suggests, its main attraction is the Reclining Buddha. 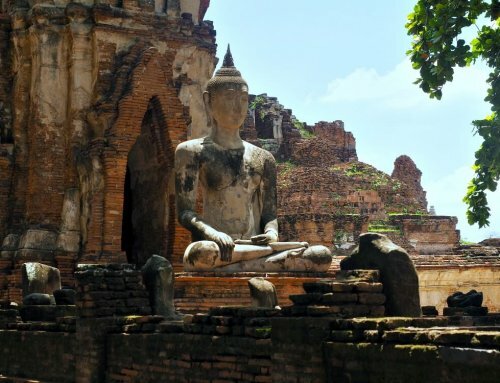 The impressive artefact measures 46 metres long and 15 metres high and is the largest Buddha in Thailand. Just try and squeeze it all into one photo. Only a short water taxi ride away is Bangkok Chinatown the biggest Chinatown in the world. Life goes on here as it has done for hundreds of years. And the people still follow their own traditions and ceremonies. It’s a maddening chaotic place with tiny lanes jammed with market stalls, street eats, restaurants and temples. Dive into the maze of alleys. The sights, sounds and smells will batter your senses! 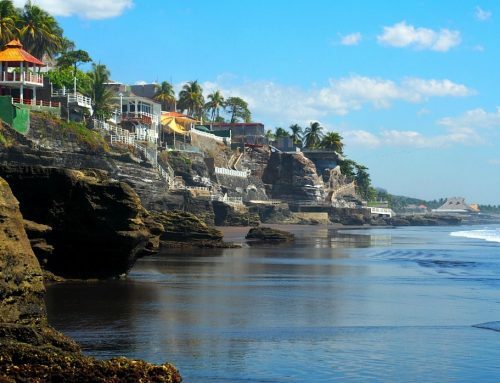 This street is a haven for budget travellers looking for value for money accommodation. Here are some of our favourite places to stay in Bangkok. Considered to be one of the best hotels in the area. Rambuttri Village Inn is set back from the street with a lovely garden and fish pond. Our room was small but clean and modern with the strongest air-conditioning we’ve ever had. The hotel has all the facilities you need, including a pharmacy and currency exchange and not one but two rooftop pools! Rooms come with a buffet breakfast to set you up for the day. And there’s a street side restaurant where you can soak up the fabulous Soi Rambuttri atmosphere. Click here for the latest prices and more information about Rambuttri Village Plaza. Tucked in behind a pharmacy New Siam III is a little gem. The modern rooms are equipped with a television, air-con and fan, a safe to keep your valuables in, and fast Wi-Fi. Best of all you can use the pool at their sister hotel around the corner. This hotel is excellent value for money. Click here for the latest prices and more information about New Siam III. Mango Lagoon Place has good size rooms that come with a nice seating area and balcony. This hotel is popular for the pool that takes pride of place at the front of the hotel. There’s a lovely restaurant where you can grab a bite to eat or drink and relax on a comfy sunbed. Click here for the latest prices and more information on Mango Lagoon Place. 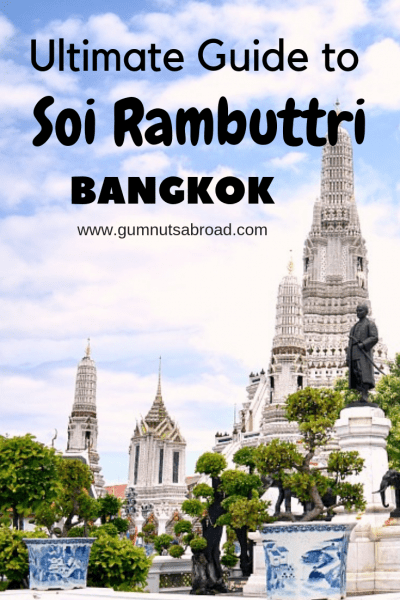 There are plenty of things to see and do around Soi Rambuttri to keep you occupied for days. In fact, you could easily spend a week here and not get bored. Here are a few things we recommend checking out. Just like the Bangkok Palace, Khao San Road is a Bangkok must see. Once home to the backpacker crowd of South East Asia, it can’t really be called a backpacker mecca anymore. As you’re just as likely to meet cashed up middle aged travellers as cash-strapped 20-year-old backpackers. But although the focus is on partying, people still come from all over the world to meet and share tales of their adventures. The National Bangkok Gallery displays both traditional and comtemporary art. There’s a hall of bronze sculptures and a rotation of temporary exhibits is held in the rear galleries. It’s worth a visit just to check out the fabulous colonial building the gallery is housed in. Fun Fact: It was once the Thai Mint. While you’re here be sure to enjoy the peaceful courtyard and cute cafe that serves real coffee. Santichaiprakan Park is a tiny patch of greenery set beside the river. 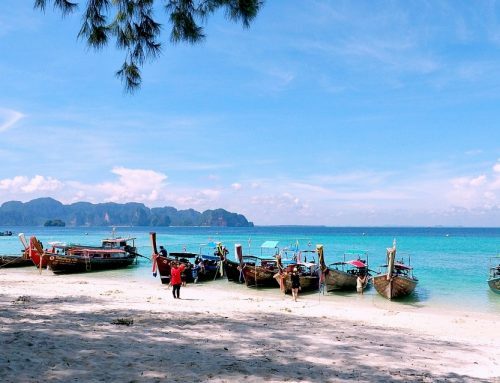 It’s a superb spot to picnic, read and relax with the local Thai people. If you visit in the early morning or evening you can join in the fun of a Tai Chi or aerobics class! An outstanding feature of the park is the sparkling white Phra Sumen Fort. Built to defend the city against a river invasion the building is shaped like a hexagon. This allowed soldiers to keep watch in all directions from the windows on the top floor. Inside the fort are 38 ammunition storage rooms. Phra Sumen Fort is one of only two forts left in Bangkok. The other is Mahakan Fort. 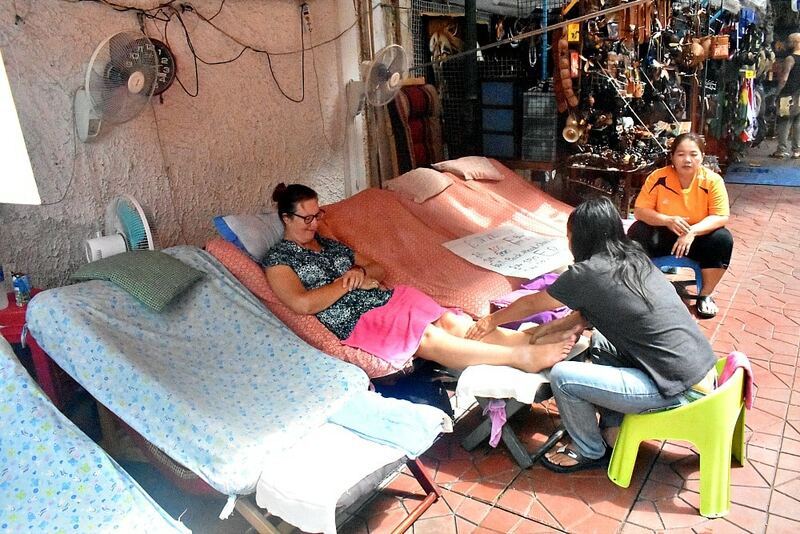 Thailand is known for amazingly cheap massages, and Soi Rambuttri is a great place to have one. I must admit I was a bit reluctant to have a massage, as in the past I’ve found Thai massages to be too much like a gym workout. But I was pleased to discover stalls and shops offering head, neck and shoulder massages and my favourite, the foot massage. Whatever type of massage you’re after, you’ll be able to find it here. There’s no need to book ahead, just rock up anytime – they’re open until late at night. There are so many temples to visit in Bangkok, it’s easy to get “templed out”. But we love visiting temples, especially ancient ones and think it’s well worth popping into Wat Chana Songkram. Also known as the Temple of Victory in War it has a long history dating back to the 18th century. Visitors are rewarded with golden interiors, ornate colourings, and a serene atmosphere away from the hectic nearby streets. Top Tip: Sneak a peek into classrooms where young monks have their lessons. Rambuttri’s cool energy attracts a more upmarket crowd than Khao San’s bare-footed backpackers. Bars here are more artsy and alternative without any techno club music to assault your ears. 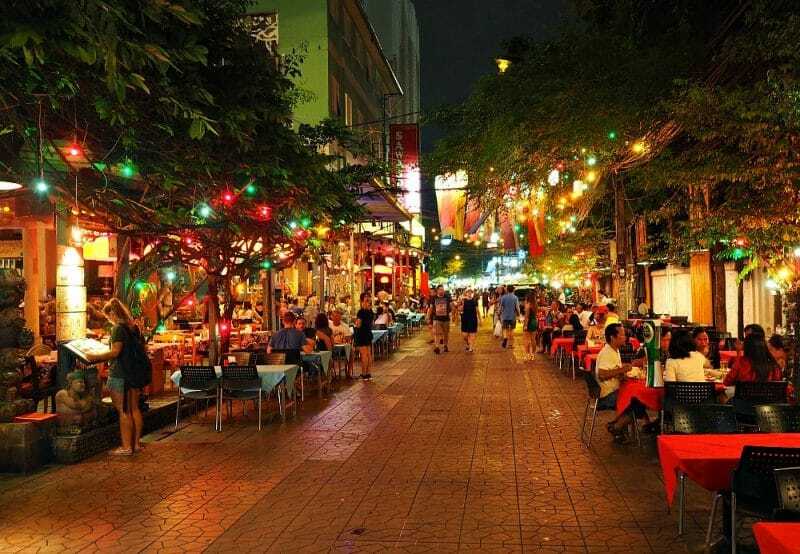 The leafy street is lined with colourful lanterns and street lights give it a mellow mood. Take a stroll and soak up the atmosphere. Then grab an ice cold beer or pretty cocktail pull up a chair and listen to some live music. Or for something truly original, watch a soccer match from the back of a converted neon-lit van. The pungent aroma of fried garlic and ginger wafts through the air as you walk along Soi Rambuttri. The whole street is lined with stalls and carts whose sizzling woks produce an array of tasty treats. From the ubiquitous pad thai to barbeque meat skewers and slurpy noodles, golden corn cobs and coconut ice cream. And my favourite mango and sticky rice – I had it every day. Those with a taste for adventure (see what I did there?) can try a fried scorpion or two. No matter what you choose your taste buds will do a little dance. One of the reasons travellers are attracted to Rambuttri is that it knows how to cater to tourists. Go on admit it. It’s nice to be able to get a latte in the morning. And let’s be honest sometimes organising onward travel and sightseeing can be hard work. But Soi Rambuttri makes it easy. Just pop into one of the many travel agents that line the street and let them do all the work. It will free up your time for more fun activities. Like getting a tattoo, or your hair braided, or a spot of shopping. Are your clothes looking a bit tatty after months on the road? Then the markets and street stalls are a great place to replenish your wardrobe backpack. Maybe you need a haircut or the dentist or (hopefully not) medical care. They’re all available here too. Bangkok’s main airport Suvarnabhumi is located around 30 kilometres from Bangkok City. There are many transport options at the airport and getting to Soi Rambuttri is cheap and easy. The best way is to catch the bus that goes to Khao San Road, it drops you off across the road from the entrance to the soi. The journey takes about an hour and costs 60 baht. To find it go downstairs, follow the signs for taxis and outside you’ll see the taxi stand. Walk past the queue for another 50 metres and you’ll see the bus. It’s clearly labelled Khao San Road. If you’re having trouble finding it just ask any of the airport staff and they’ll point you in the right direction. Don’t worry, this isn’t a scruffy old bus with dodgy suspension. The one we caught was clean and modern with comfy seats and air conditioning. Rambuttri has many hidden nooks and crannies and the best way to see them is on foot. 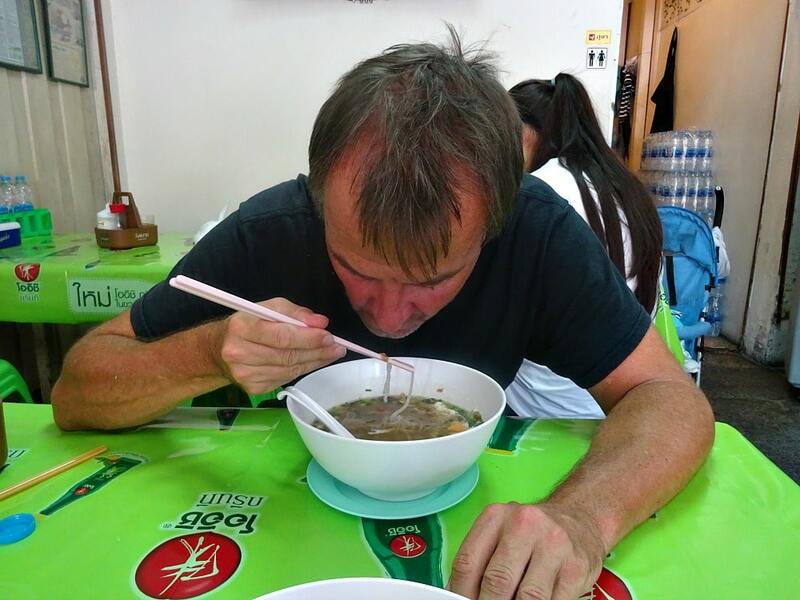 Stumbling upon a secret noodle shop or barber’s store is one of the thrills of visiting Bangkok. You just can’t do that from the back seat of a car. If you need to venture further afield then the river ferries make it easy to get around Banglamphu and Bangkok city in general. A Bangkok riverboat is a fun way to get around while mixing it up with the locals. And you won’t get stuck in traffic. Taxies and tuk-tuks are plentiful, but beware of exceptionally cheap trips – you’ll be taken to a gem store and given the hard sell. Tip: Make sure the meter is turned on in taxis, and always flag a taxi or tuk-tuk down. The parked ones are waiting for tourists to overcharge/rip-off. 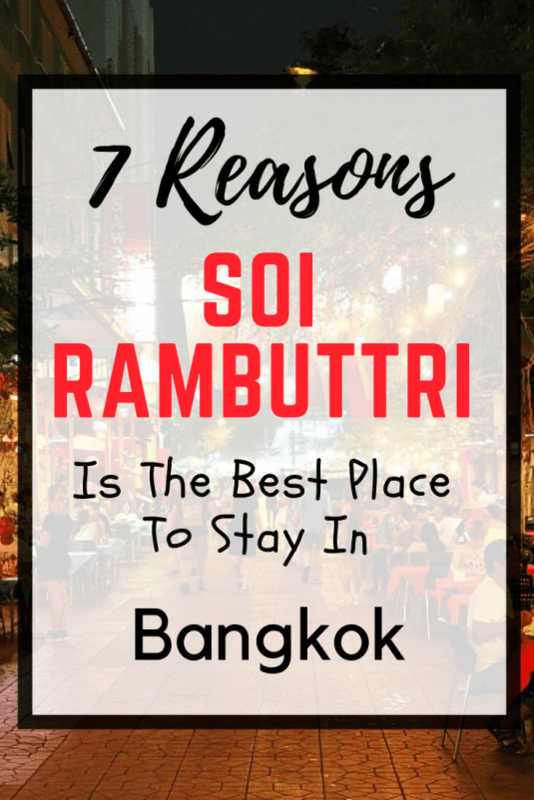 So now you know why we think Soi Rambuttri is the best location to stay in Bangkok. Click here for more information and the latest prices on where to stay in Bangkok. Have you ever visited Soi Rambuttri? Tell us about it in the comments below. We’d love to hear from you! If you’re visiting Thailand here are some more articles you might find useful. 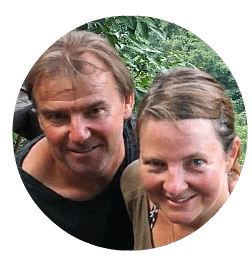 Or find out how we saved enough money for our career break abroad without using a budget.